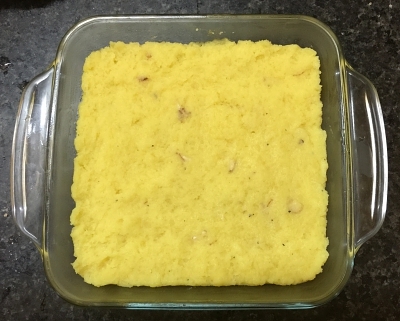 It is a quick recipe to make Moong Dal Barfi. 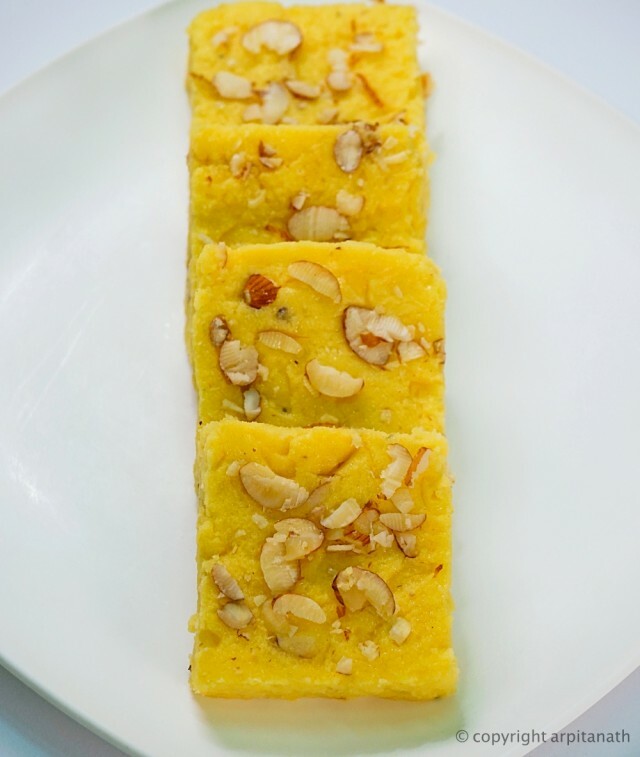 We usually make a variety of sweets at our home, and Moong Dal Barfi takes a lot of time to prepare. This version of the recipe takes only 40 minutes to make the delicious and famous sweet. Though it is not the authentic one, but the taste is divine I can say. 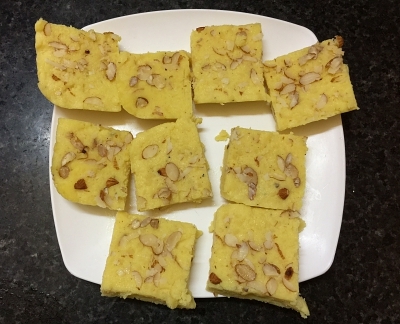 Try this easy to make Barfi and impress your loved ones. 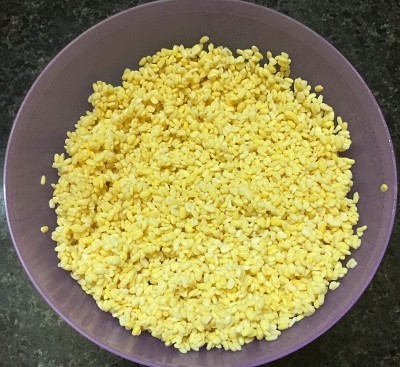 Wash and soak moong dal for 4 hours. When the soaking period is over, drain water and grind them in a blender. Half a way add some water and again grind into a smooth paste. 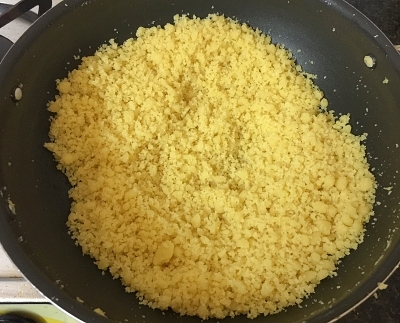 Here comes the trick to make the barfi quickly. 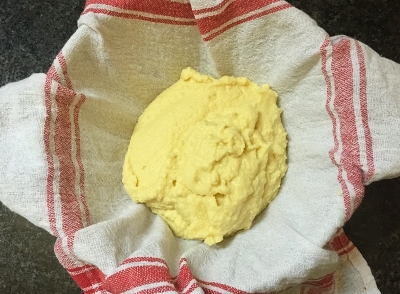 Place the dal puree on a thin cotton cloth and squeeze out all the water as possible from the puree. 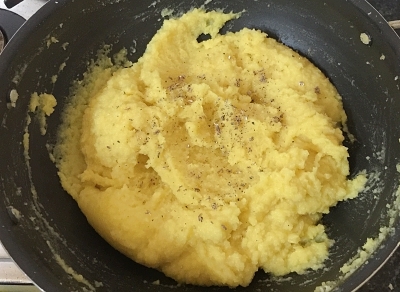 It will help the dal mixture cook faster. 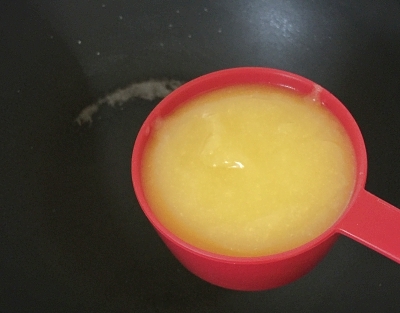 Add the moong dal puree into the ghee and start stirring the mixture. 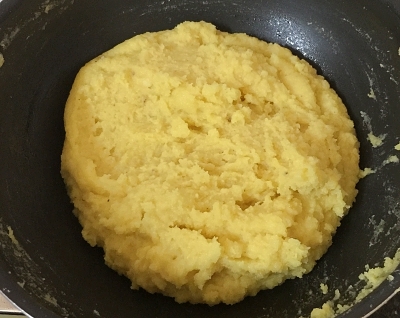 Do not forget to stir it continuously at this stage. 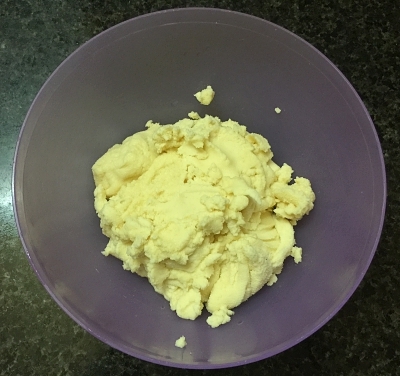 The mixture will become like a tight dough and it takes a lot of effort to stir it for the first 5-7 minutes. 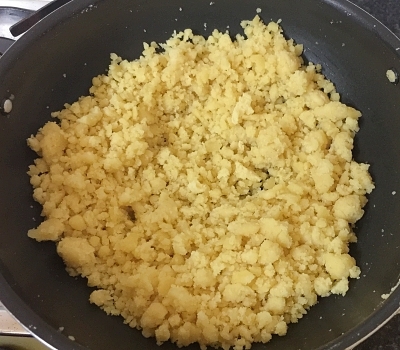 After that you can see the dal mixture will start separating and the texture will become like crumble. 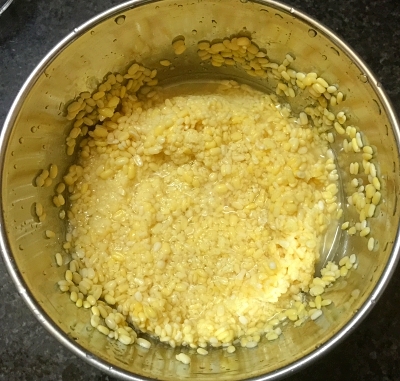 Cook the moong dal very well, because we don’t want the raw smell of moong dal in our barfi. 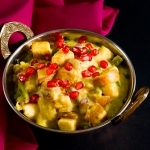 Keep stirring and cooking the dal mixture for 15-20 minutes on medium flame. 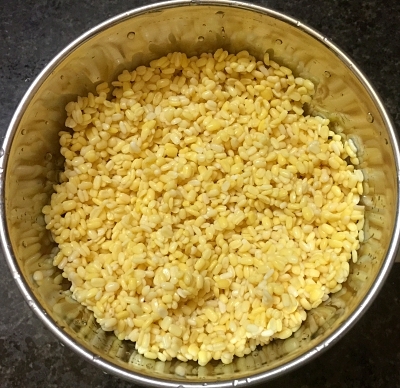 When the dal mixture roasted properly, you can smell a beautiful aroma of the roasted dal [ it will take around 20 minutes to roast the moong dal ]. 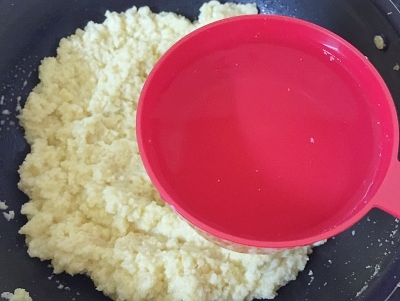 At this stage, add milk and water into the pan and stir the mixture constantly. 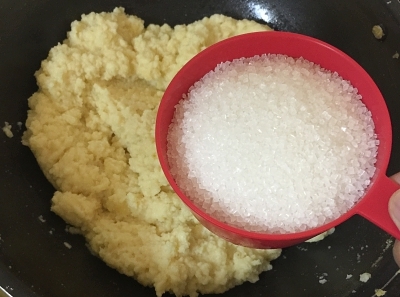 After 4-5 minutes, add sugar and stir until all the sugar dissolves completely into the mixture. 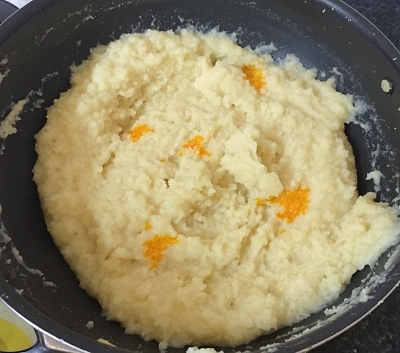 Add yellow food colour and mix well. Keep stirring often on low flame. 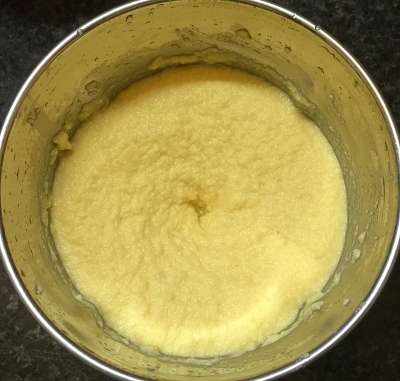 After 10-15 minutes from adding milk, the liquid should get absorbed and the ghee will separated from mixture. 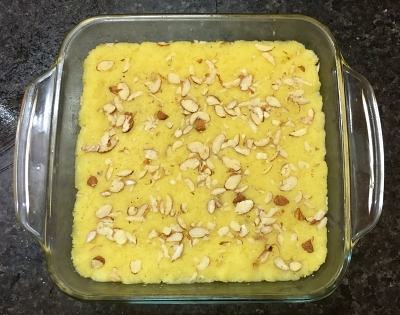 It will take a total 40 minutes to make this barfi mix. Lastly, add cardamom powder. Mix well and switch off the flame. 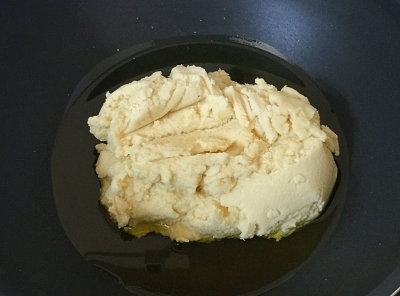 Grease a plate with little bit of ghee and transfer the hot dal mixture on the plate. 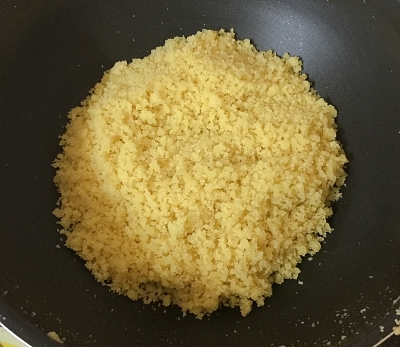 Set the mixture tightly and around 2 inches thick on the plate. Top it with sliced almonds and slightly press them. 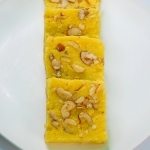 Let it cool down and set for 2-3 hours and then cut them into squares or diamond shape barfi and serve. 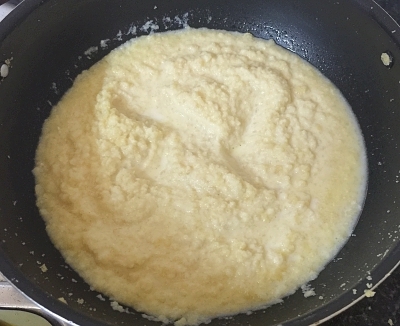 Do not forget to stir the mixture constantly while cooking. 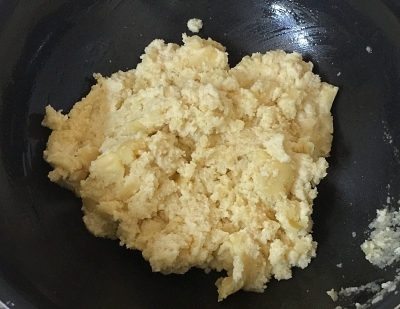 Squeezing out water will help the barfi mixture cook faster. 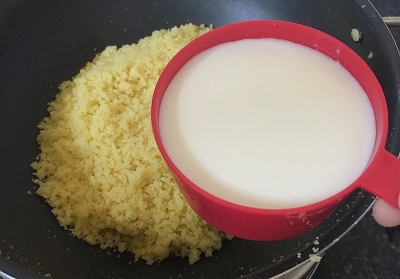 You can skip the step of adding food colour. 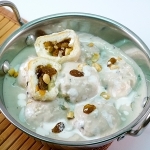 You can also search for more Indian Dessert recipes like Malai Chum Chum, Rasgulla, Besan ke Laddu, Shakkar Para, Rasmalai, Coconut Kheer and many more.